When you purchase your first home and go from being a renter to a homeowner, there are a lot of unexpected surprises that are going to happen along the way. One of them will probably be the discounts that you get on your taxes. The other one will probably relate to the fact that now that you own the home, you are in charge of the repairs. As a renter, you could call your landlord or a maintenance man to attend to repairs around your home. Those days are gone; you are the landlord and the maintenance man. That means you are going to learn a lot of things about owning a home in a short amount of time. 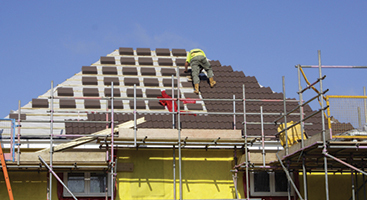 One of the biggest ones you’ll need to know about is your roof. 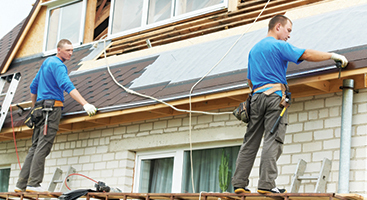 Ace Solar and Roofing has been doing roof repair in the Charlotte area for more than 25 years, and during that time we’ve worked with many new homeowners on their roofing projects. Our team is always happy to answer any questions that you might have about your roof and make sure that you have the information that you need. Here are some of the things that we want new homeowners to know about roofing along with some of the frequently asked questions we get from new homeowners about their roof. Get your roof inspected right away. Ideally, you should have the roof inspected as a part of your purchasing inspection before you buy the property. Some people are foregoing the pre-purchase inspection in order to speed up their purchase in a competitive housing market, though. If that was an option that you took, you’ll want to make sure you get your roof inspected right away after the purchase of your home. A professional inspection can tell you how much longer your roof is likely to last and identify any repair issues that might need your attention. Good news, though: Ace Solar and Roofing offers free roofing inspections that you can schedule with us right now. Get your roof inspected regularly. Even if your roof passes inspection with flying colors, that doesn’t mean you can just ignore it for the next couple decades. 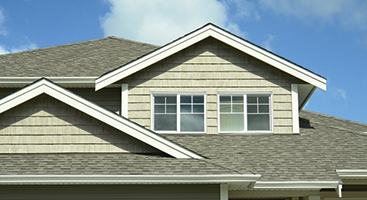 Ideally, you should have an annual roof inspection done by a professional. This will help you find any roof repair needs as quickly as possible. The sooner those issues are found and taken care of, the less expensive and time-consuming they are going to be. Keeping your roof clean and in good repair is important. This is our number one tip for new homeowners: keep it clean and get repairs done right away. Keeping your roof free from debris helps protect the shingles or other roofing materials from damage, plus it helps prevent clogs in your gutters which are important players in your roofing system. If you do need roof repair, don’t put it off. The longer you wait, the more damage that’s going to be done to your roof. It depends on how old it is now, the materials that were used, and the quality of the installation work. An experience roofing inspector will be able to give you an estimate about how much longer your roof should last. If you catch them early, probably not as much as you think. Simple shingle repair and replacement is very affordable. 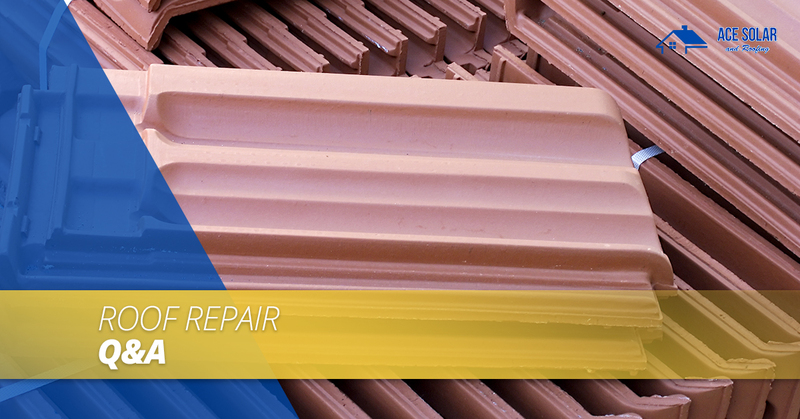 Larger repairs might be more costly depending on the damage and the labor involved. Always get a free quote from a roofer about your repairs, and if the amount is more than your budget can handle in a month, ask them about financing options. What if I hate the look of my roof? We get it! While most roofs are pretty neutral, sometimes previous homeowners can choose a roof that you’d never pick out yourself. Does that mean you are stuck with it for the next 20 years? No way. Having a new roof installed on your home can increase it’s value even right after you’ve purchased it, giving you more equity in your investment. Plus, it will be in the materials you want and a look that you love. We can help you find the roof that’s right for you! Are you a new homeowner? Give our roof repair team a call for all of your roofing needs, including repair, installation, and free inspection services.